Welcome to an all-new edition of our weekly trivia challenge, in which we test your knowledge of all things fly fishing and where you might learn a thing or two about this sport we love. This week, we’ve got ten questions about fish history, fly-tying materials, famous destinations, and more! The performance on the last quiz was pretty good, with three people achieving perfection. Give it up for Clint, Marshall ray, and JP Goulet, who added a “Woot, Woot!” A further fifteen people missed a single question, which is a pretty high ratio. The most common score rose one spot, to 70%. 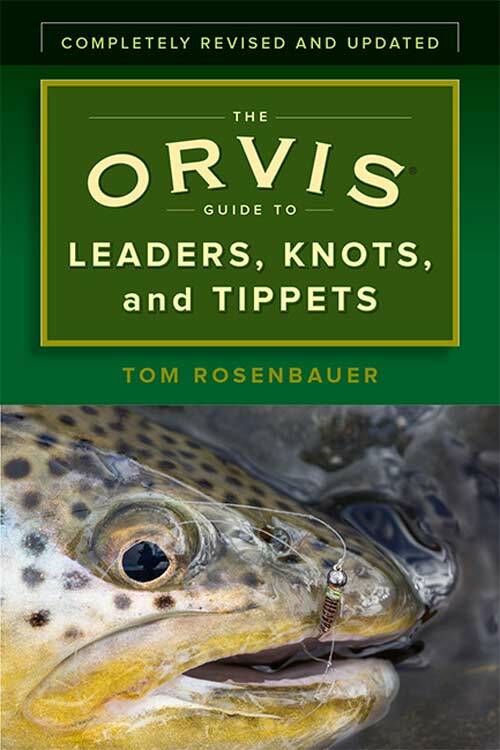 The winner of this week’s random drawing will receive The Orvis Guide to Leaders, Knots, and Tippets by none other than the great Tom Rosenbauer. This handy take-along book addresses the technical issues surrounding leaders and connections in relation to state-of-the-art line materials and types, and details the best overall knots for fly-line connections. The winner of our last quiz, and recipient of Goodnews River:Wild Fish, Wild Waters, and the Stories We Find There, by Scott Sadil, is Allen S, whose score is not something he’d want recorded for posterity. So post your score below (or below the post on our Facebook page!) for a chance to win a great book. 80! Best ever – by a lot. missed the first 2, then ran the table. Got a 40%…… and some of those were even just lucky guesses. I knew the Lahontan Cutthrout one though!!! 60% and I’m good with it today. oops, fatfingered email address. TLD is .net. Not that I’ll win. If it weren’t for bad luck, I’d have no luck at all. 40% I thought for sure the Neversink flowed into the Hudson. 🙁 Is it the Delaware? Darn, only 50%! I’m going to have to do some reading to brush up on my trivia! 80%. All things Michigan held me back. 30% My dog ate my homework. 50% – Below average for me. I missed all of the eastern river questions. 90%. Q 5 got me! 40% I hang my head in shame. In my defence, I was playing by Canadian Rules. 30%. Big slide backwards. Glad I went fishing for 2 days! 80!! by far my best yet!